Great for drinking hot beverages over the winter. 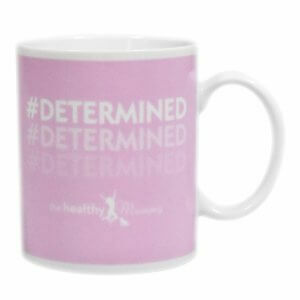 #DETERMINED is a constant reminder to stay determined in the pursuit of weight loss goals. Fill the mug with our Drinking Chocolate for a super delicious and warming drink. 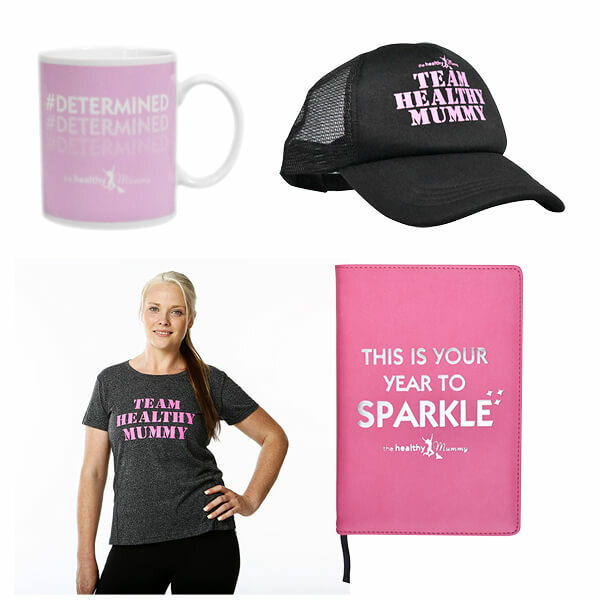 The motivational notebook is a great place to write down your goals for 2018 and take steps to achieving them. 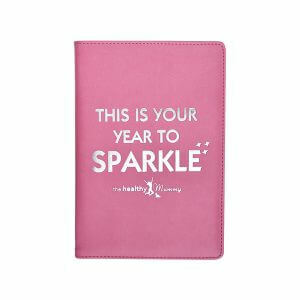 The notebook is hot pink with the text ‘THIS IS YOUR YEAR TO SPARKLE’ on the cover. 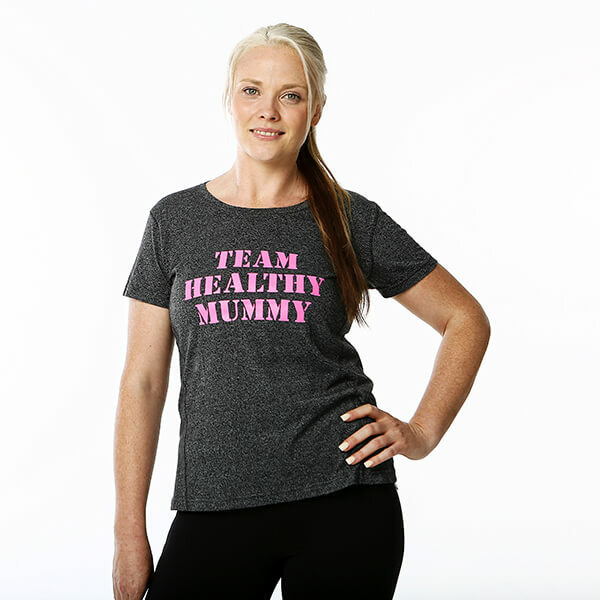 Inside the notebook, each page is lined and features The Healthy Mummy logo. LIMITED EDITION: BLACK TRUCKERS CAP! The community voted, and here it is! Our first TRUCKERS CAP! We hope you love them as much as we do. The Healthy Mummy Black Trucker Cap has a traditional trucker style mesh back which increases ventilation. It also has adjustable sizing at the back.